This creamy sauce is low in fat and cholesterol free. Use it for making creamed soups, sauces, and gravies. Be sure to continue blending the ingredients until they are completely smooth; this can take up to two minutes on the highest speed. Combine 1 1/3 cups of the water with the millet in a saucepan. Bring to a simmer. Cover and cook for about 55 minutes, stirring occasionally, until the millet is tender and all of the water has been absorbed. Transfer the millet to a blender. Add the remaining cup of water and all of the cashews and salt. Blend for 1 to 2 minutes, until completely smooth. 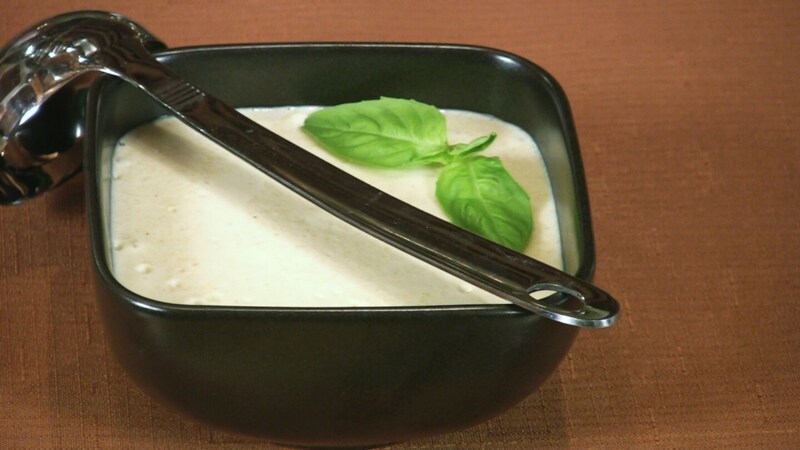 Stored in a covered container in the refrigerator, leftover Basic White Sauce will keep for up to 2 days. For a little more flair, add 1/2 teaspoon ground black pepper and 1-2 tablespoons of nutritional yeast.